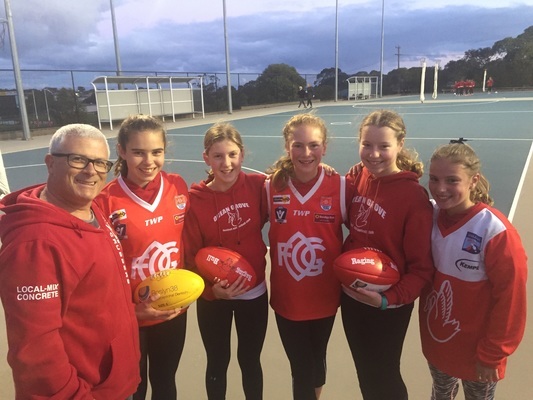 OCEAN Grove Football Netball Club is seeking expressions of interest to include three junior girls’ football teams in a Geelong-based AFL Barwon region competition in 2017. 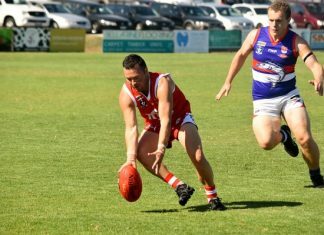 The Grubbers have registered expressions of interest with AFL Barwon to have three teams from 2017, in under-12s, under-15s and a youth team in under-19s. The move comes following the successful AFL women’s all-star exhibition night match played between the Western Bulldogs and Melbourne on 3 September. The Saturday night fixture played under lights at Whitten Oval achieved record prime-time ratings on Channel 7 and boasted a 6000-plus crowd. Ocean Grove Football Netball Club president Tony Potter said the club would need to do more advertising in local schools to promote the women’s AFL football concept. “It is exciting for the area, we hope we can be part of the women’s football in the region and move forward,” Potter said. AFL Victoria/Barwon football development manager Katie Geerings said there were 40 plus ‘expressions of interests’ for female AFL teams in under-12s, under-15s and under-19 age groups across the region. She said women’s AFL football teams would not have to ‘require’ 18 players per side. “It is probably OK to start a game with less players, so you don’t have necessarily have 16 or 18 per side whatever they choose to go with,” Geerings said. “Let’s move away from that tradition thought – let’s say if there are 12 players let’s play the game.